Greetings from Marvin'sDaughters. 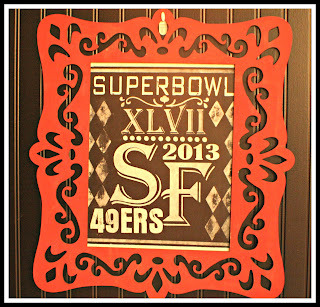 Today's post may appear to be about chalkboard art but it is really all about the San Francisco 49er's. My dad (Marvin) LOVED the SF 49er's. Watching them play brought my dad so much joy...... and sorrow at times but he was always a true 49er faithful!! And then there is my sister, Marvin's other daughter Pookie (Julie). 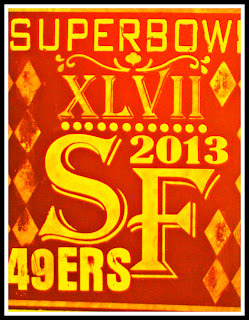 My sister lives and breathes the SF 49er's. Seriously she was a fan at birth. 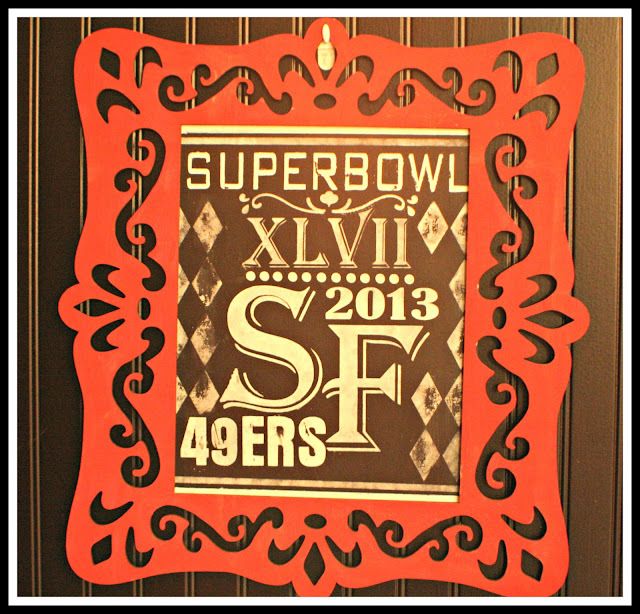 She has rooms in her house decorated with a 49er theme. She wears 49er jewelry and carries a 49er purse. Back in the 90's she had Joe Montana checks. When she got her pool table we bought her 49er billiard balls. My husband even bought my sister a 49er door mat for her front porch.......he is a Green Bay Packers fan and he likes to wipe his feet on the 49er door mat........I know it's terrible, but all in good fun. 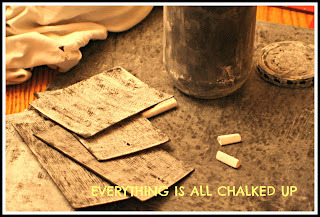 So onto the chalkboard art, you know another Pinterest inspired project. I really wanted to give chalkboard art a try. So I thought I would start my adventure with chalkboard spray paint. 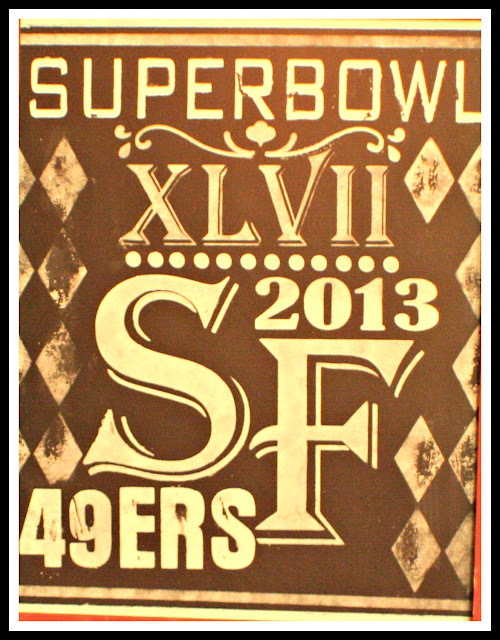 The 49er Superbowl was the perfect project theme. 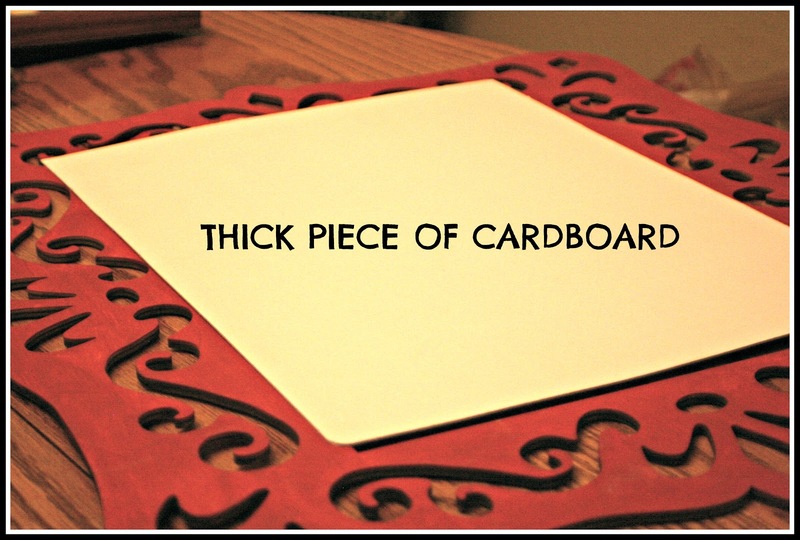 I already had the frame from Michael's. I used a 40% off Michael's coupon when I bought it. I painted the frame red with acrylic paint. I decided to use a piece of tough cardboard for the chalkboard. I didn't plan on keeping it at the time and wanted to use something I could just toss. I used the cardboard packaging from my Martha Stewart scoreboard. Even Martha's packaging is good quality. I cut it to fit inside the frame. 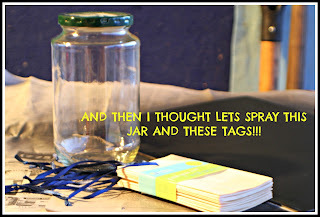 In the picture below is my first swipe of chalkboard spray paint. I always go light on my layers when I spray paint, trying to avoid puddles. This was pretty light even for me. 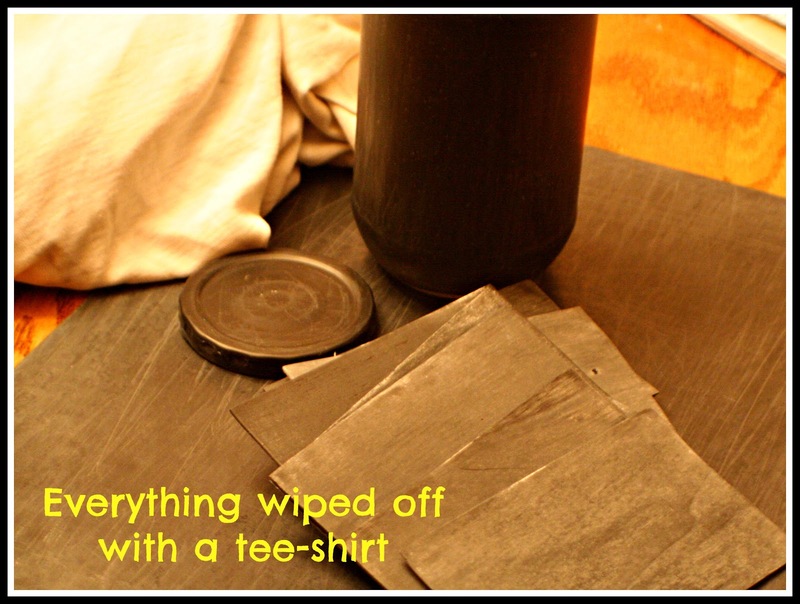 The chalkboard spray paint worked great, no clogging, went on nice and smooth. So of course I went looking for something else to spray paint. 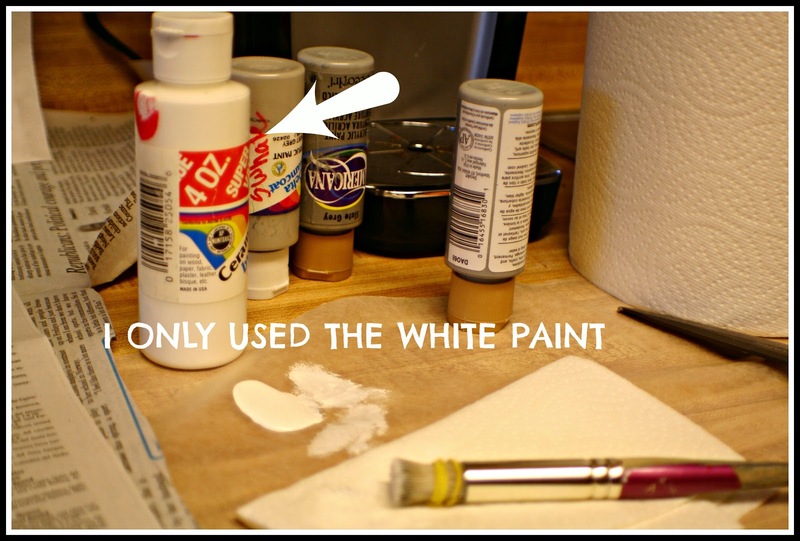 .This is to condition the paint, so that the chalk will work on it. Then you wipe the surface with an old t-shirt. And it should be ready to go. 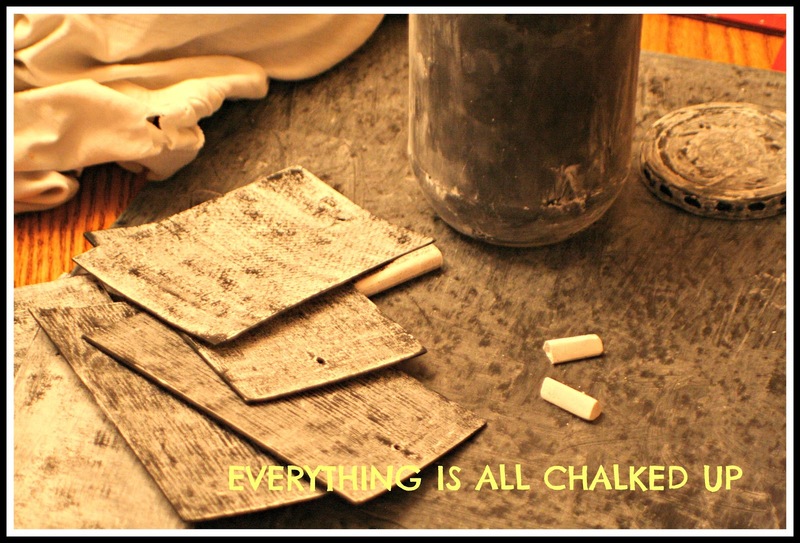 Had my chalk and set of chalk pens ready to create. Unfortunately I couldn't get the look I wanted with the chalk pen. Probably need to practice with it a bit more. The regular chalk worked great on the wood tags but not so great on the piece of cardboard. So time for plan B! I pulled at my white arcylic paint and then I cut some stencils with the Silhouette die cut machine. 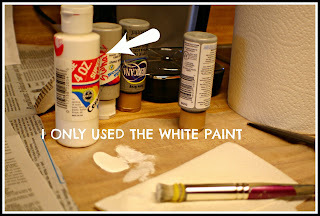 I wanted the paint to look like chalk so I went light with my stencil brush. I taped down the edge of the paper stencils with FrogTape. That way the stencils don't move while you pound away with the paint brush and the tape comes off the paper without tearing it. 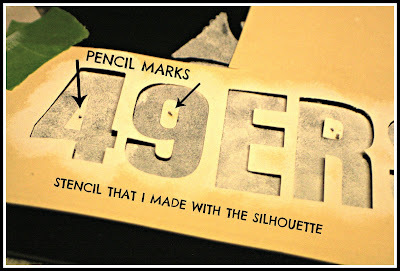 I held down the small pieces of paper that went inside the numbers and letters with a pencil while I painted. You can see the pencils marks in the picture below. I am really happy with the way it turned out!! It has a fun chalkboard feel to it. So off to the Harbaugh bowl, oops I meant my sister's Superbowl party we go! I hope you enjoyed my chalkboard art adventure. I think there is more chalkboard art in my future, probably something for Valentine's Day. 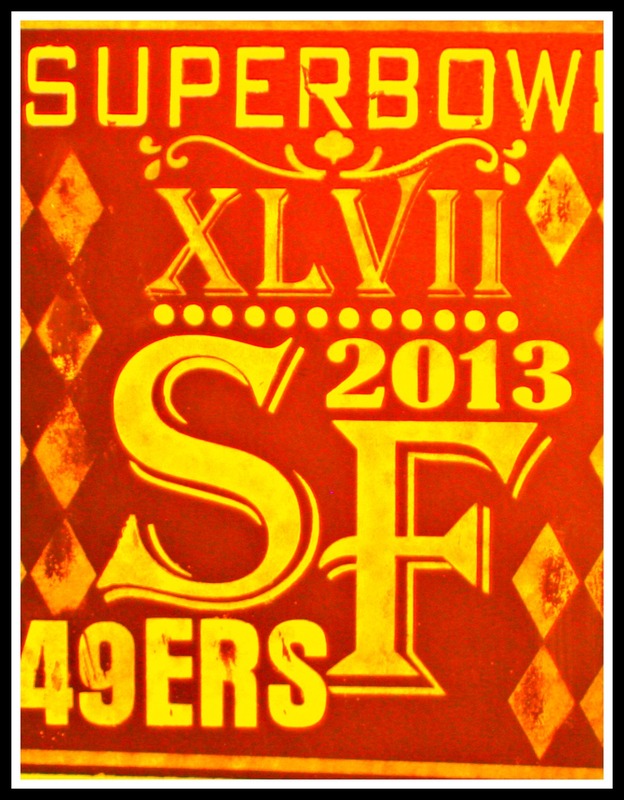 And to all the faithful, GO NINERS!!!!!!!!!! 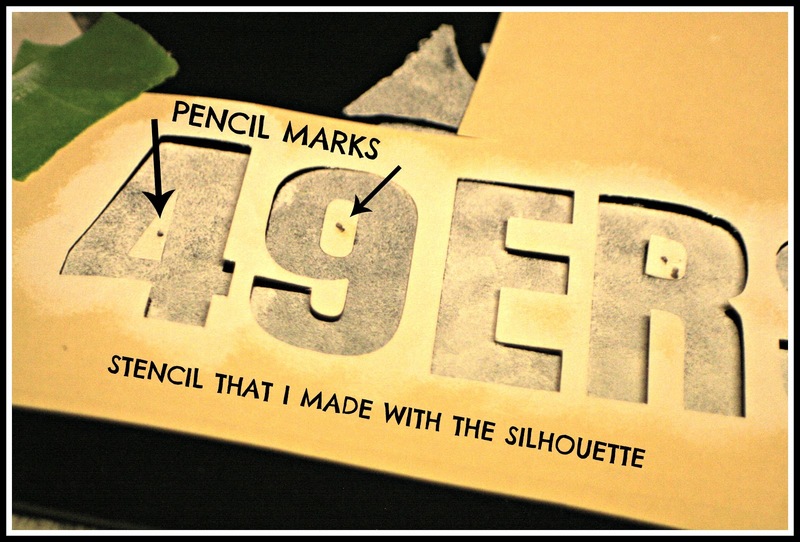 Nothing finer than a 49er! I love this post and I love you. Thanks and go Niners! Thanks Pookie, I loved making it!! Six in the bag!! !